Clarice K. Harris, age 93, of Bucyrus, Ohio, passed away on Tuesday, November 20, 2018 at Heartland of Marion. Clarice was born on January 24, 1925 in Wyandot County, Ohio to Ralph and Hazel (Gibson) Alban, both of whom are deceased. She married Howard T. Harris on April 18, 1970, and he passed away on April 3, 2006. 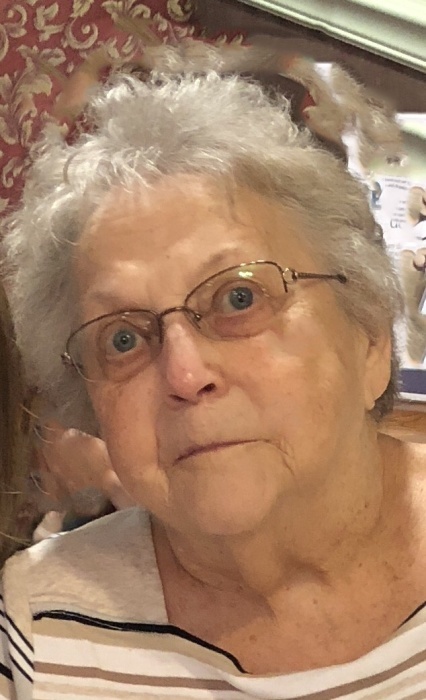 She is survived by her daughter, Rebecca (Brian) Oliver of Bucyrus, five grandchildren: Divena (Stephen) Smith of Marysville, Shad (Megan) Pollock of Marion, and Jeran (Nici) Pollock of Sycamore, Jordan (Jessie) Oliver of Delaware, and Leah Oliver of Toledo. Nine great-grandchildren: Brinnen Smith, Avyriel Pollock, Briley Pollock, Caden Pollock, Hudson Pollock, Turner Smith, Karsyn Pollock, Lily Smith, and Riggins Pollock. She was preceded in death by her parents, husband, a son, Danny McGrew, and three great-grandchildren, Sydney Pollock, Nash Pollock and Vivyan Pollock, and a brother, Donald Alban. Clarice was a homemaker and also worked for the former Westinghouse/AO Smith in Upper Sandusky. She was a 1944 graduate of Harpster High School and a member of the school’s alumni association. Clarice was lovingly known as “The Queen Bee,” by her family members. Her caring and giving heart will be remembered by all who met and knew her. Clarice’s family brought her much joy and happiness. She was especially proud of all of her grandchildren and great-grandchildren, attending their various school programs and sporting events throughout the years. Graveside services for Clarice Harris will be held at 11:00 am Saturday, November 24, 2018 at the Nevada Cemetery, Nevada, Ohio, with Rev. Beth Mansberger officiating. Memorial contributions may be made to Lifeline of Ohio, or the March of Dimes, and can be sent to Lucas-Batton Funeral Home, 476 S. Sandusky Ave. Upper Sandusky, Ohio, 43351.